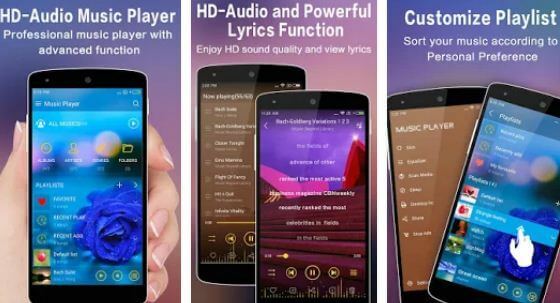 Best Android Music Player: Unless your Android device comes with a stellar music player of its own that does much more than it is expected to, you have had your fair share of poking around with other music players. But considering that the starting scenario isn’t all that common, it is surprising to see how many Android users just go with the flow of their device’s native music player, no matter how useless it is. Maybe you do it because you’re used to the workings of your player (giving you the boast of at least knowing it well), or perhaps it’s because you’re too busy to try out different players and select your favorite; but the truth is, there is no reason to compromise on music listening experience- often the only source of respite we tend to have amidst our daily drudgery. Here’s our carefully selected guide to the Best Android Music Player 2017. The Best Android Music Players of 2017. Image Source. 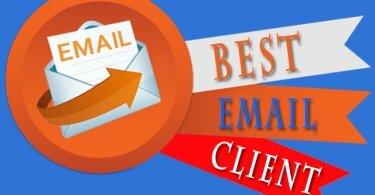 Most selection lists come with a guideline to talk to you about how you should go about making your selection. This undoubtedly helps you conduct your own research in a carefully crafted manner so that you don’t end up being misled. But when we’re talking about the best music player for Android, most of which are absolutely free to download, it ends up being redundant. If you want to look beyond what is given on our list, we suggest you go to the app store of your choice, enter the magic keywords, and hit search. The best way to know which one would suit your requirements best is to try out as many as you can (which is what we have done before compiling this list). But let us help you go at least halfway by telling you about our biggest favorites. 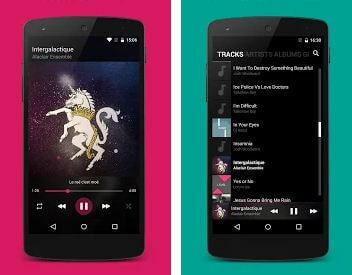 Here is our list of the best Android music player apps that you can find, both free and otherwise. We cannot stress enough how much you need to get your hands on the BlackPlayer if you’re looking for a free option. Having tried this best music player on Android while looking for an alternative to a terribly underequipped music player on an otherwise reputed smartphone, we can assure you that it is a minimalist’s best bet. The interface is, you guessed it, all-black, which is actually quite pleasing to the eyes. Almost everything on board responds to both a normal and long press, which is how the devs get so many functions stuffed into such a lithe app. Moreover, it comes with a fully functioning 5 band equalizer. The only con worth noting is that there is no option to go back to a previous selection with the buttons on a regular earphone. If that isn’t an issue, then we suggest you download this best Android music player with equalizer and give it a go. The base version is free (and very self-sufficient, is we may say so), but you can download the paid version separately to support the developers and unlock some neat new features. If you are looking for a slightly more feature-rich option than the BlackPlayer, then the Pi Music Player is definitely worth a fair trial. 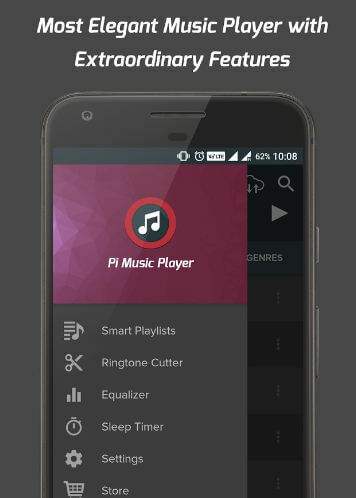 One of the highest rated music players for Android devices, the Pi Music Player from 100 Pi Labs is one of the most robust music apps that you can try now. It sports a beautiful interface and supports some great extra functions besides being a general music player (it does pack in a ringtone cutter). 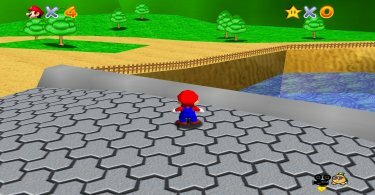 Besides that, the overall layout is crisp, the controls are smooth and precise, and the Folder view makes it much easier to view all your content, especially if you tend to hoard music on your smartphone the way we do. There are a number of themes to choose from in the base version, and you can buy more if you want more customization. There are options to remove short clips (such as your edited ringtones) from the playlist as well. Download it from here. The Music Player by Leopard V7 is not as talked about as the other, more popular players, but it is a rare gen. A feature-rich player that comes for free, one of the greatest things that we like about this one is that you can edit the track details (such as title and artist name) from within the app itself. It comes with support for the most widely used file formats, a robust equalizer that comes with over 20 preset styles and lets you edit manually as well, and some innovative ways to change the track. However, support for the headphone buttons is limited, and it is not really convenient to shake your phone everytime you want a change of track. There are three different sized widgets on offer, so picking one that looks good on your home screen is easier than you think. What do we hate? The ads are extremely intrusive and can hamper your music experience. Download this best Android music player with an equalizer from here. 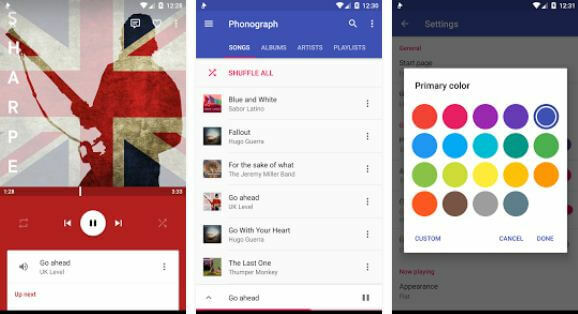 While certain updates in the past have been sketchy, Phonograph is the go-to app for being one of the best Android music players. The app relies on a neat, clutter-free interface that comes complete with a lot of great features, both basic and extras. On the former front, there are regulars such as the ability to move from a song to its artist, lock screen playback controls, creating and editing playlists, and the likes. Some of the more exciting offerings include options to edit all possible tags of a track and the added bonus of your player adapting to the album art of the song you are currently playing to have your phone pay an aesthetic tribute to it. The wow factor happens to be the Last.fm integration, which helps with scrobbling and keeping your profile updated if you have the Last.fm app installed as well. Currently, the app functions well and is definitely one of the most satisfactory ones that we have used. You may also check our list of the best root apps of 2017 from this site as well. JetAudio HD is definitely one of the best Android music players. Although it has been overlooked in recent times, the developers have come back with a bang and it is expected to regain its status at the top very soon. 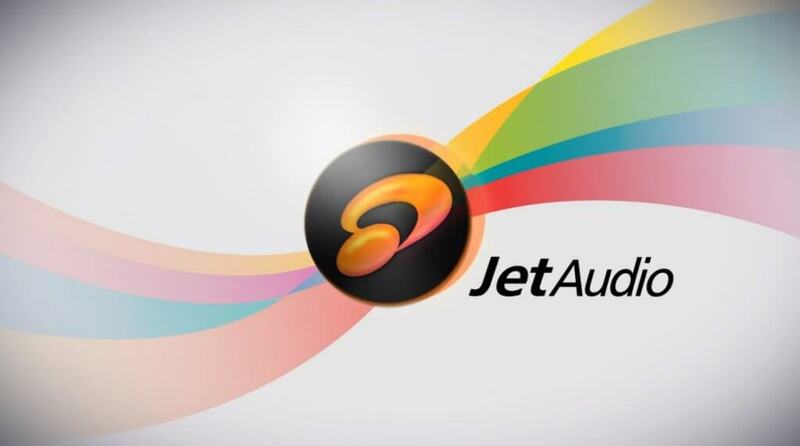 It is rather easy to use as well and comes in both paid and free formats; with a lot of variety when it comes to audio enhancements (which actually come in the form of plugins), JetAudio HD actually lets you tweak your favorite musical experience. Also, the JetAudio HD has 32 presets) and also boasts of other, more simple effects including bass boost, besides a tag editor, several widgets, and even support for MIDI playback. The paid version is very identical to the free version save the fact that it removes the in-built adverts and other unnecessary add-ons. Download it here. 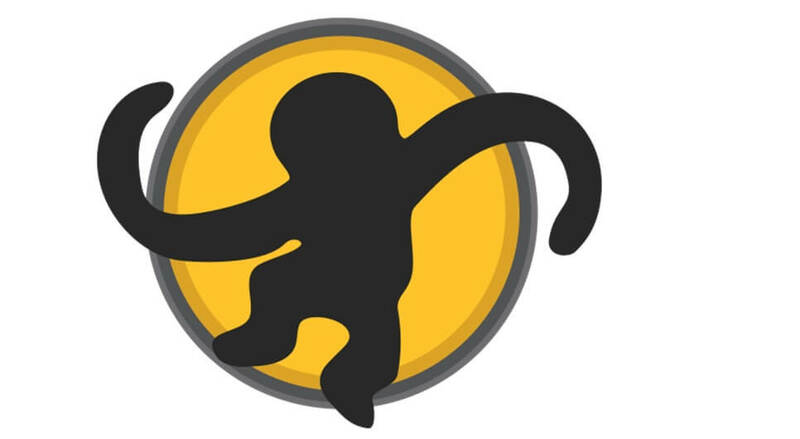 MediaMonkey is quite possibly the most underrated Android music player. 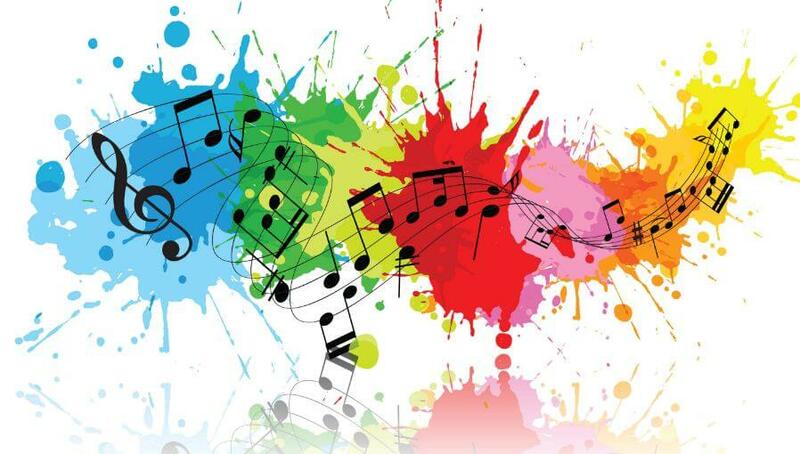 As far as a music playing app is concerned, its features list is an enormously rich one. It has some truly unique features which include the sorting of audiobooks and podcasts. It also has the ability to sort all songs based on the composers and not just the more mundane aspects of the artists. One great feature that the MediaMonkey app has is that it can also sync your music library from all of your computers to your phones (the reverse is also possible) over WiFi. So, while the setup can be a bit ticklish, you are more than welcome to use this app. It will not disappoint and the home screen is also marvelous to look at. Download the app here. This list of the best Android Music Players will keep being updated to keep our readers on top of the most popular trends in the sector. However, as of now, the four apps that have made it to the list so far are the ones that have left us the most satisfied, in terms of interface, user-friendliness, and features alike. If you have a favorite that we have missed, make sure to holler the name in the comments section so that we can try it out. Who knows, maybe you will end up giving us our next favorite.